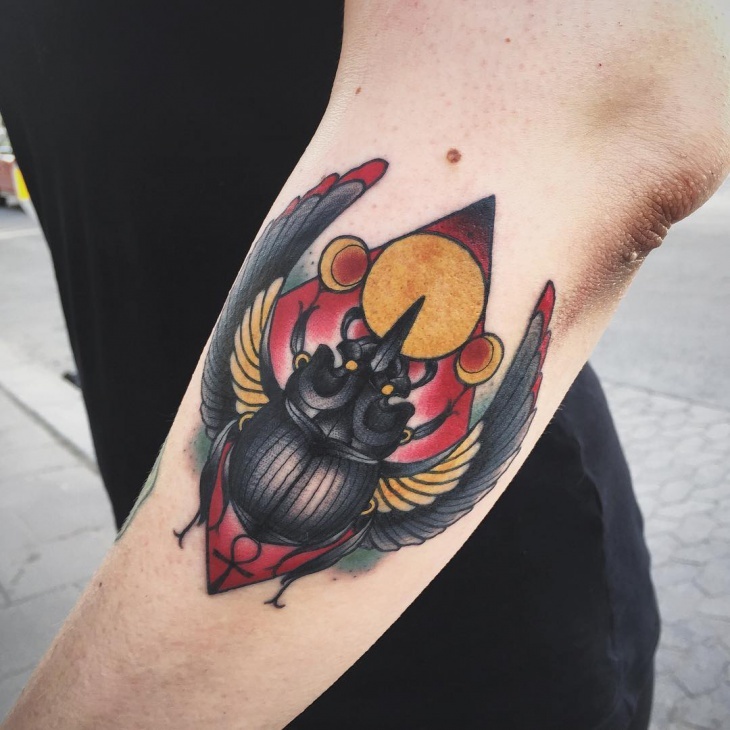 The scarab is an insect usually depicted at sacred rituals of old Egyptian people. 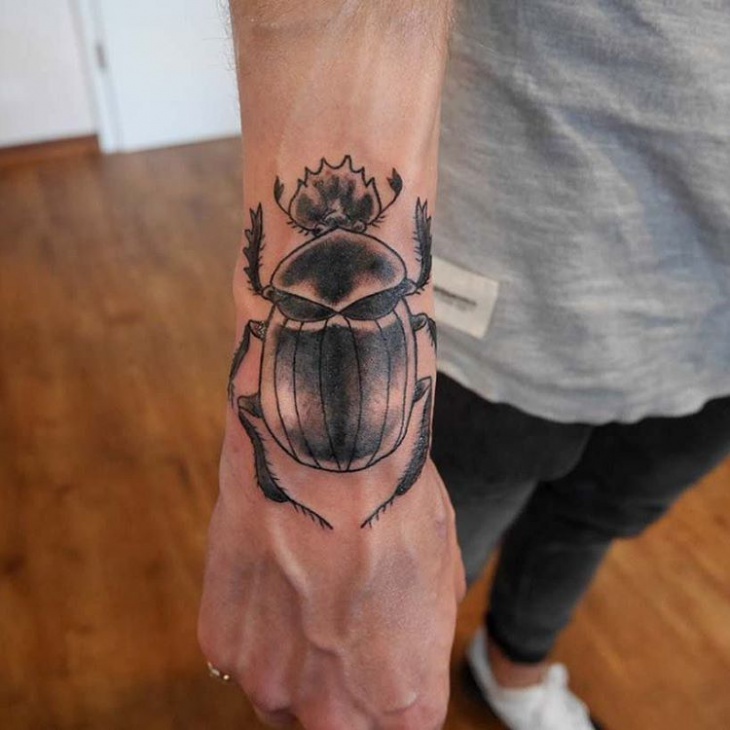 This is the dung beetle, as many people know. It was an important symbol in the ancient Egyptian culture. 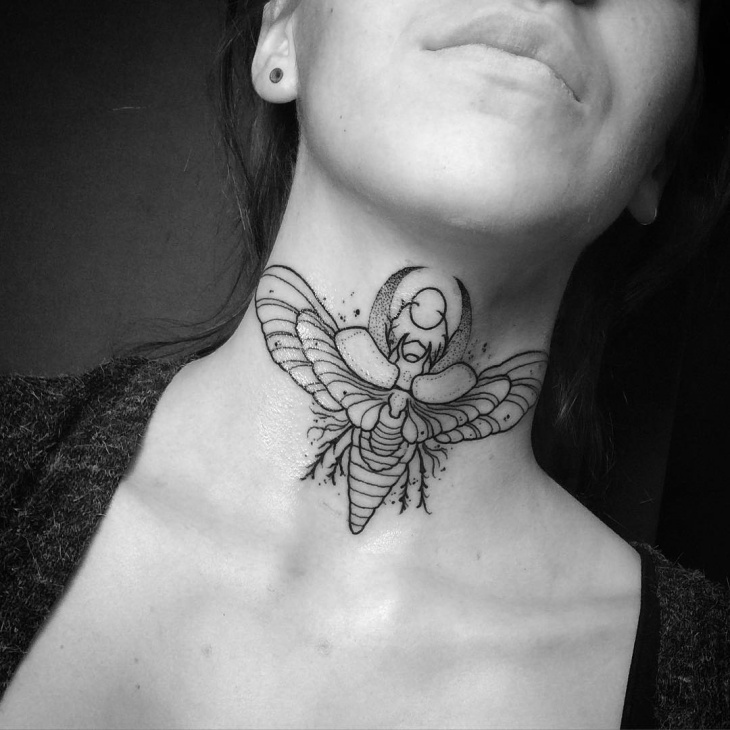 At the present day, the scarab is a popular kind of skin art, similar to the Koi Fish Tattoo, for instance. 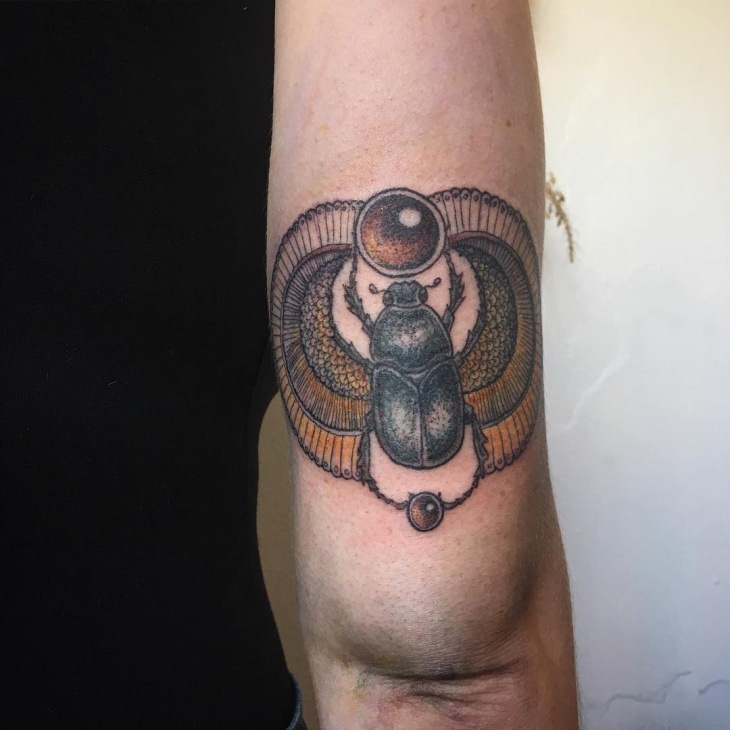 The scarab meaning goes into the deep detail, but usually it represents the cycle of the Sun or a daylight, resurrection and afterlife, too. 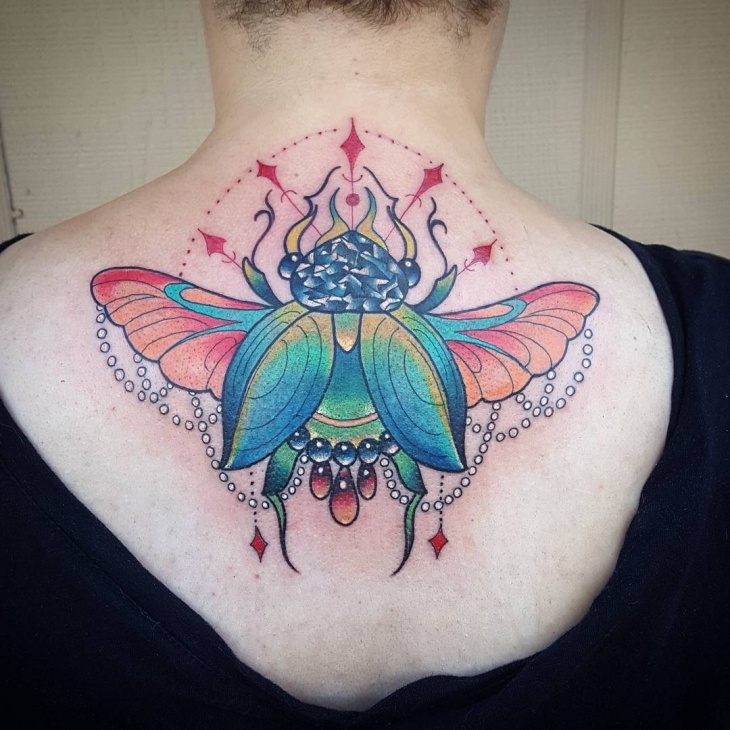 It is the beetle represented as a powerful symbol of an early morning or sun rays at the dawn. This is an Egyptian art right on the spot. 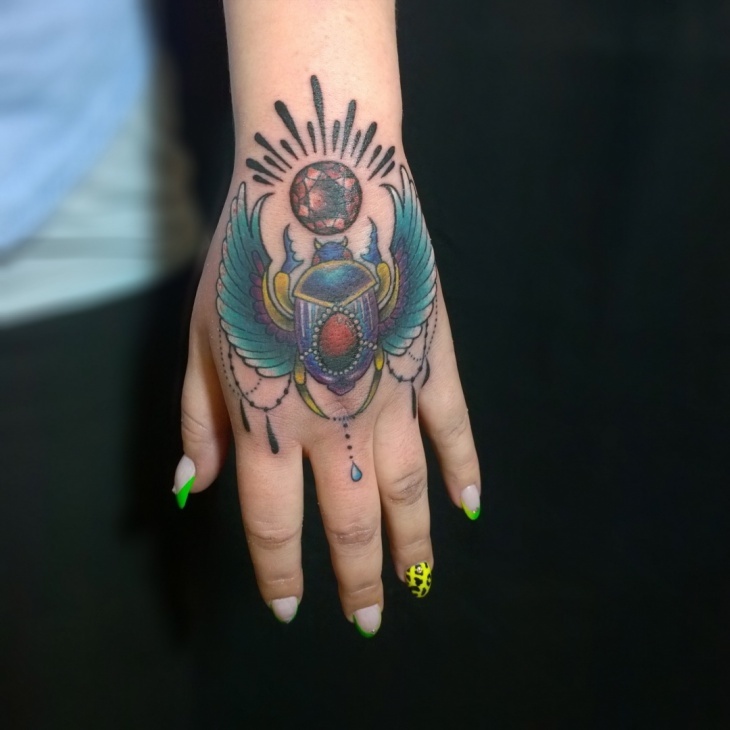 We have beautiful details and a dedicated collector who is very proud of his tattoo. 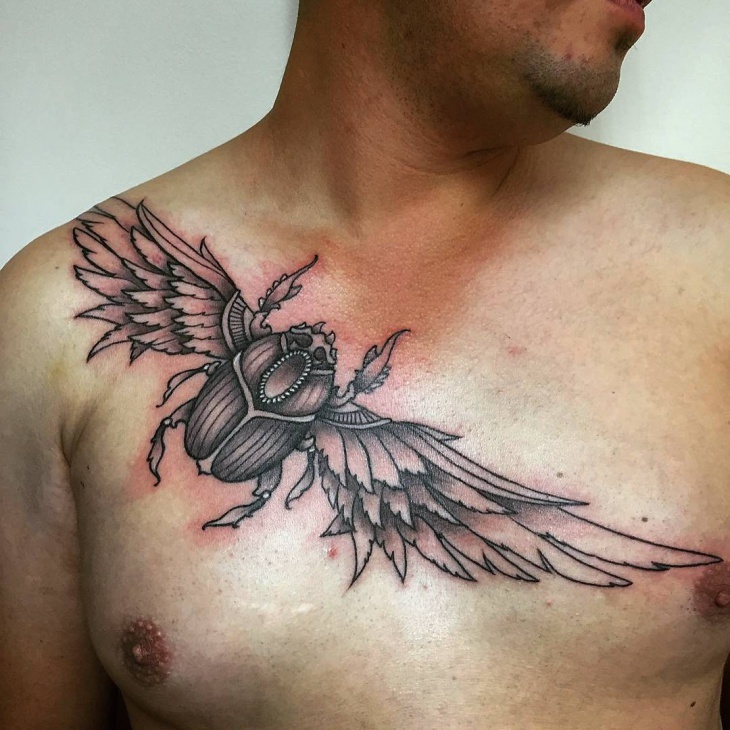 The great beauty and the symbolic meaning are accentuated by impressive wings. 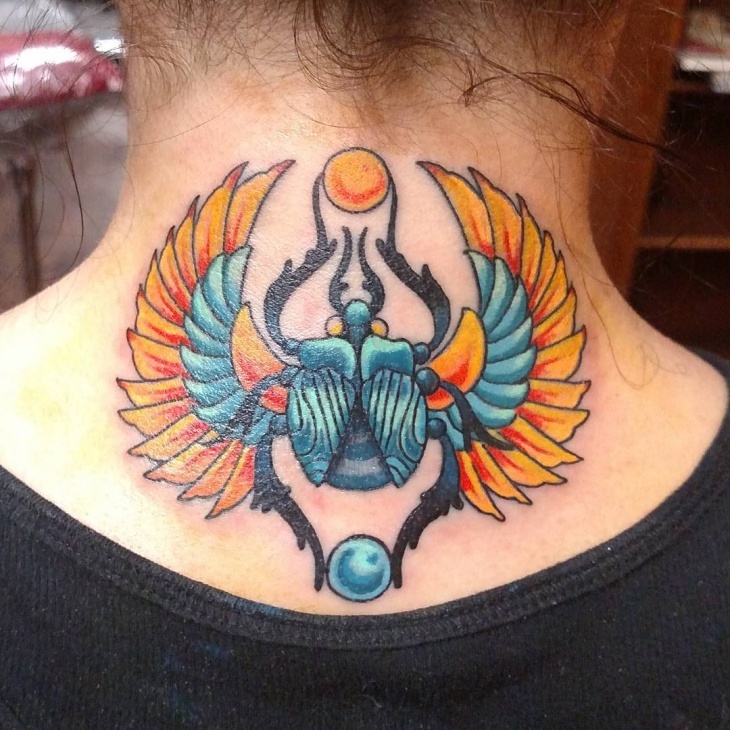 A solar disk is depicted with a great importance and decorated wings of the scarab were held in high. There is a decorative reflection upon the whole design. 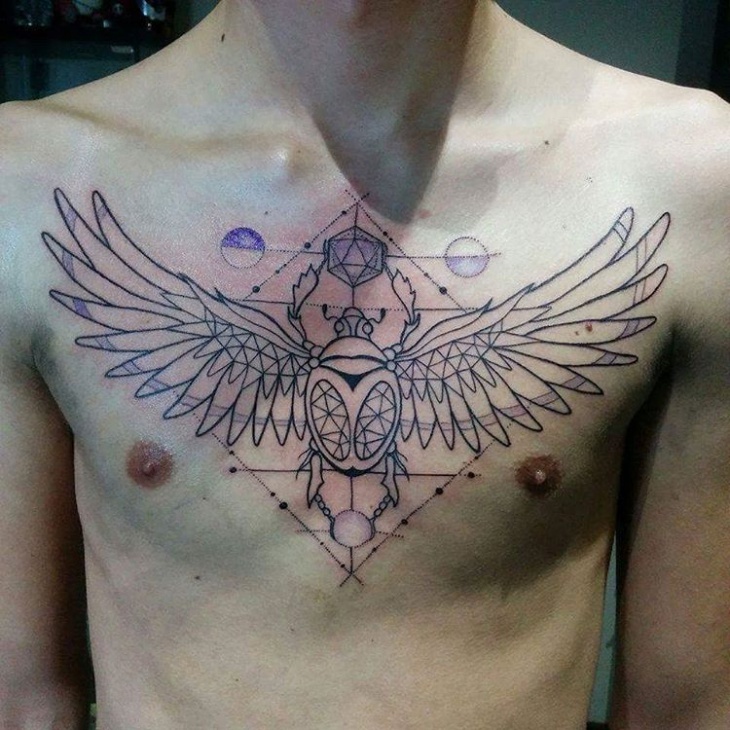 Once finished, this tattoo will be impressive. Congratulations to the artist who showed a great patience and an eye for a detail. The whole beetle is covered with symbols and ornaments making it astonishing to any observer’s eye. Once again, imagination is the only limit when this kind of thing is in question. 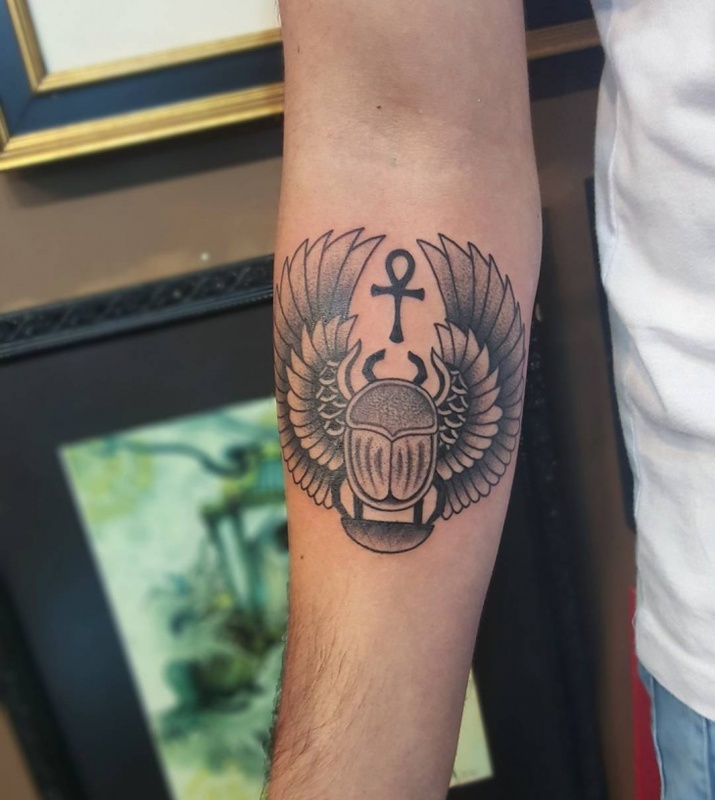 It is not the scarab tattoo if you miss any of Egyptian themes or folklore. 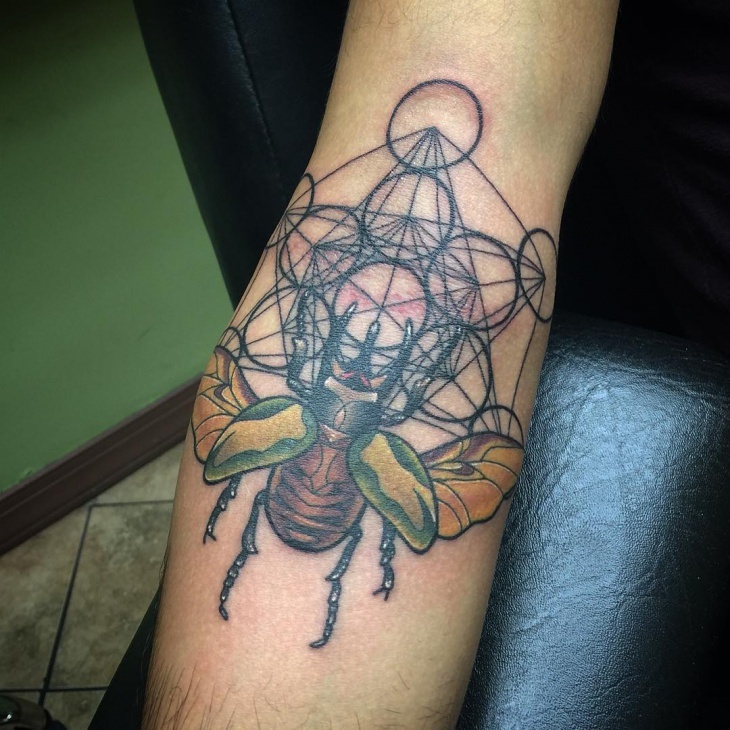 Yes, this is beautiful imagery and geometric shapes just add the value and make this kind of design on the top of its class. Certain geometric shapes include a religious meaning. 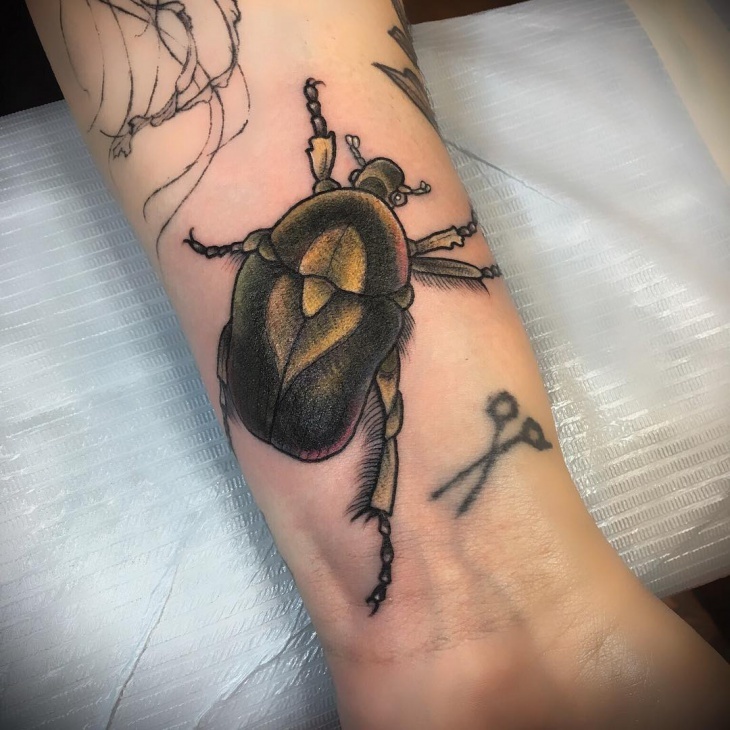 There is nothing much to be said about this cute little design of dung beetle, but to extrapolate the beauty of the movement. This tattoo is almost alive. 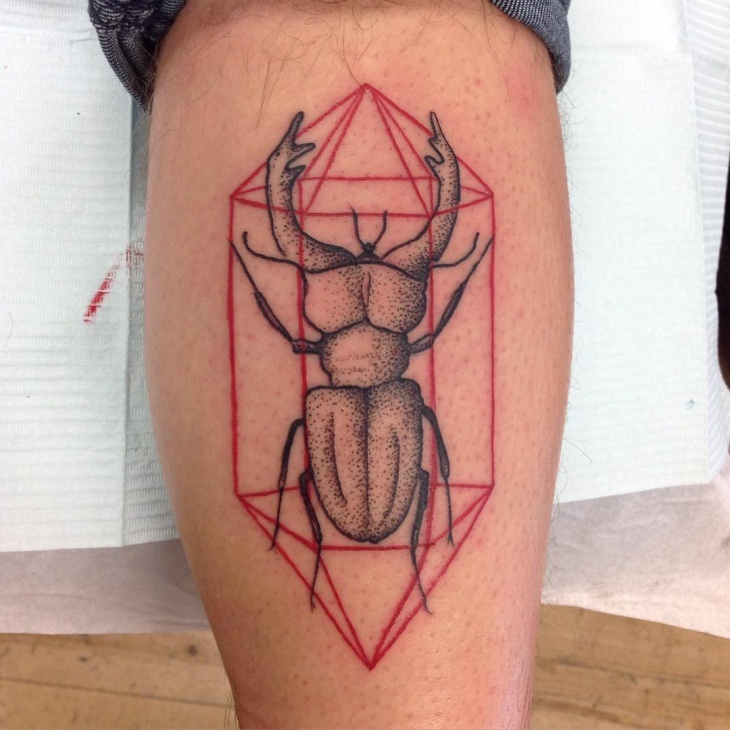 The scarab appears to be moving. 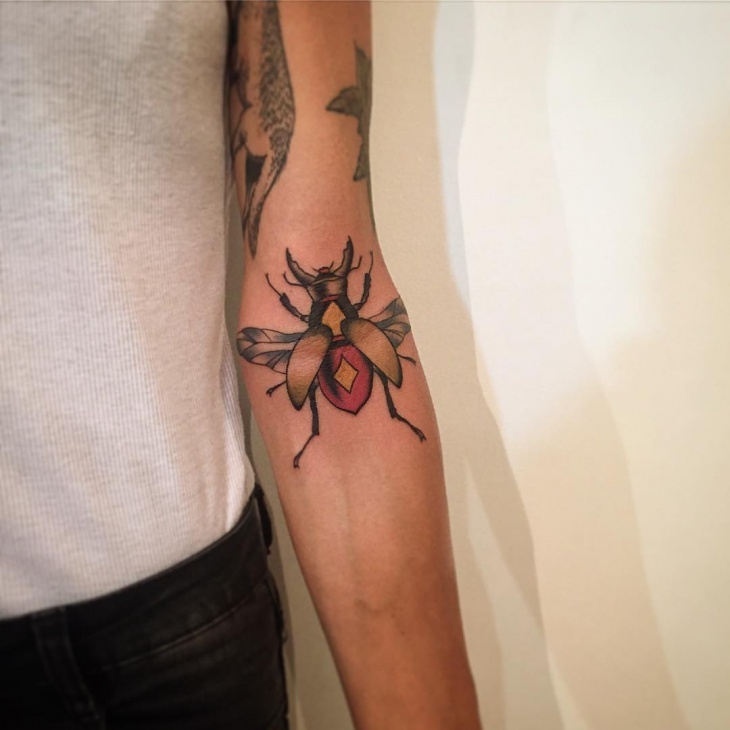 Congratulations to the talented artist who pulled this trick on! 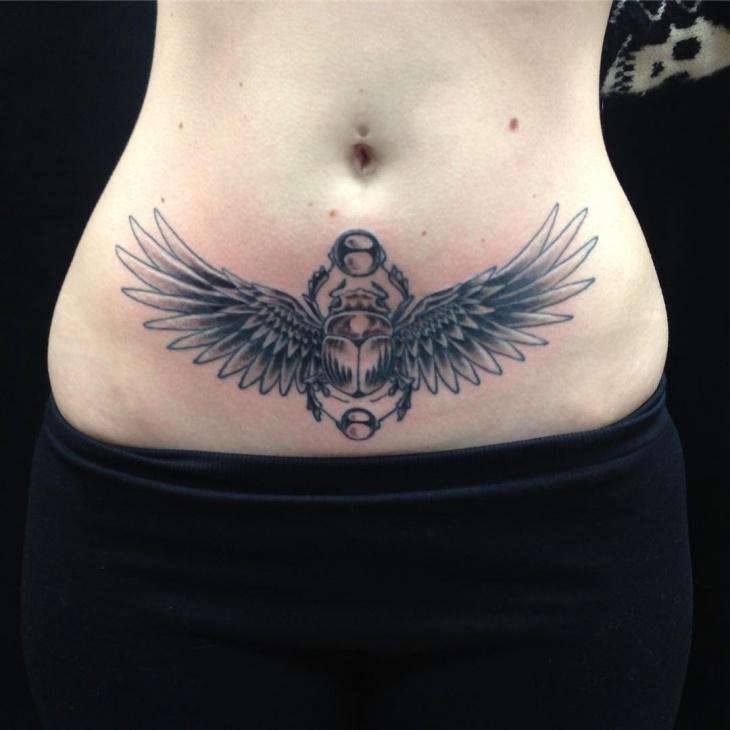 This is a perfect symmetry of the ink, across the whole body. We just adore the way how an artist pays an attention to the ink shades at certain spots. Definitely the whole cosmos is inside the details of this piece of design. Making it in full color, will add more importance. This will make the great impact on your eyesight. 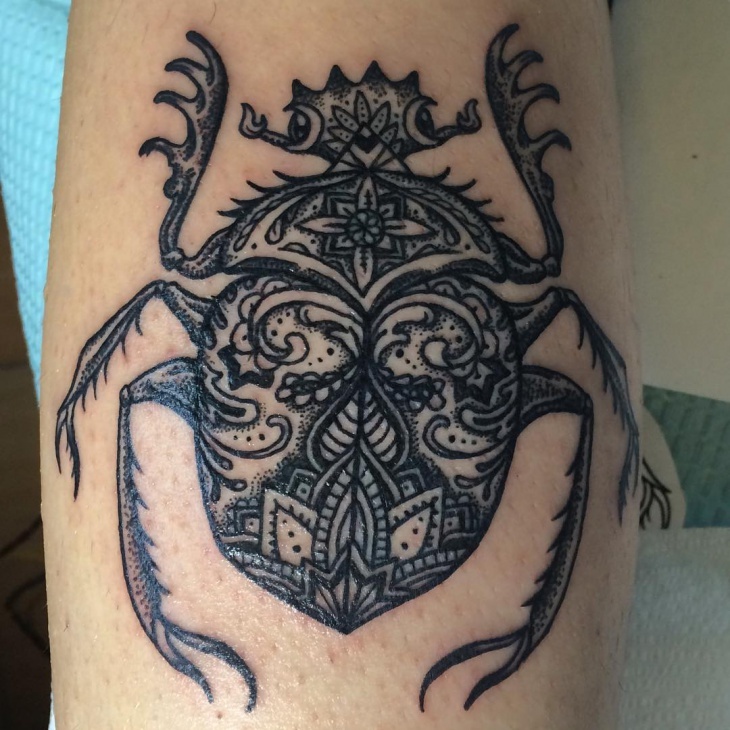 This one represents a brave traditional tattoo scarab paired well with ornaments and geometry of curves and circles. 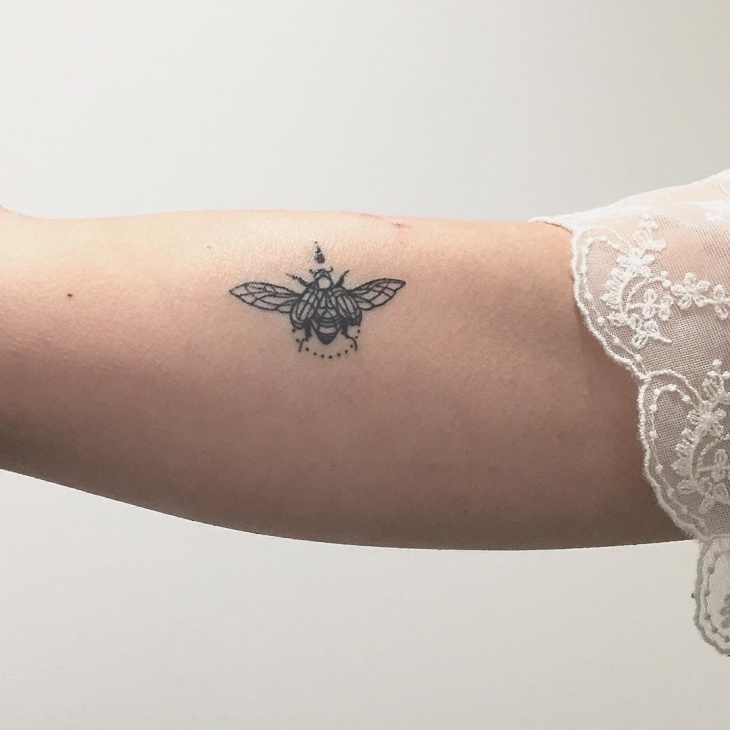 For us, this tattoo is the best and keeping it black and white will just add the contrast. 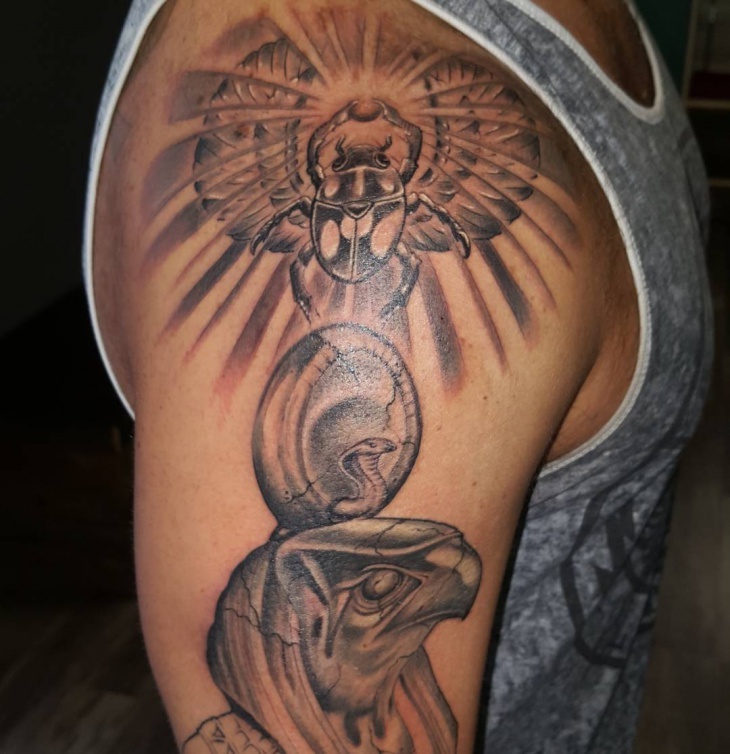 This idea is a great mixture of Egyptian symbols and astonishing arabesque who interweaves beautifully into the whole picture. 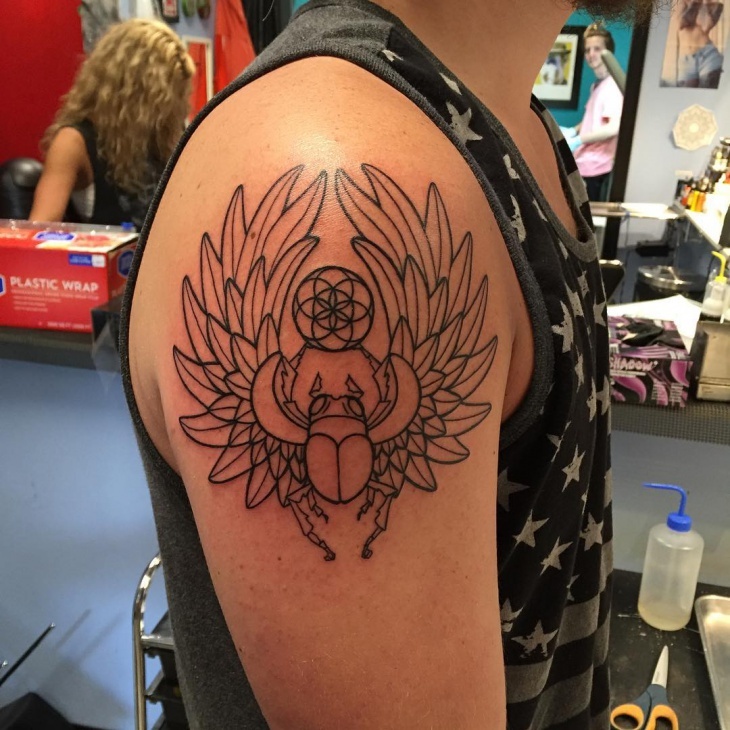 It takes a second look to recognize the scarab design, making it even more interesting as a whole picture. 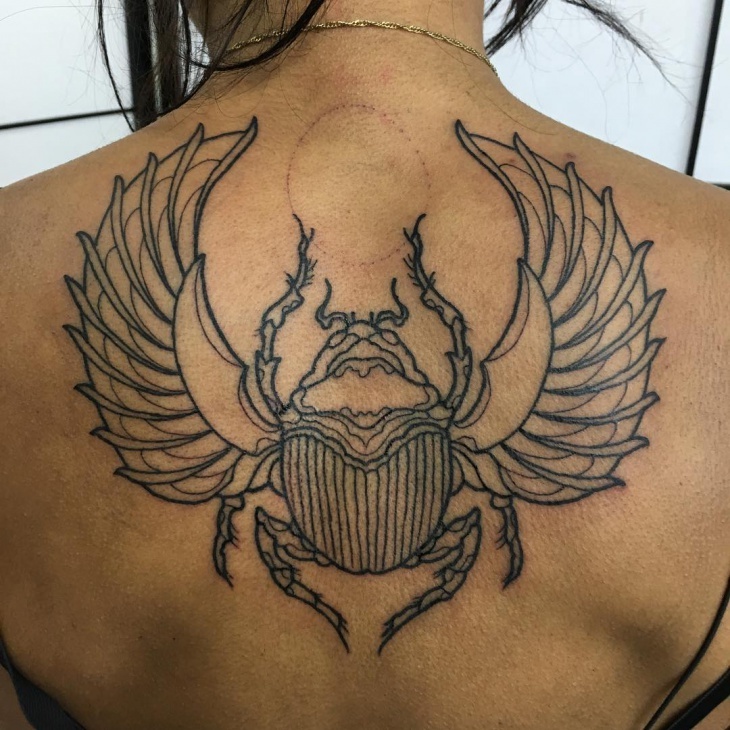 So, when you see next time some of the scarab’s design on people, you will be well aware of the secret meaning and importance of this powerful symbol. 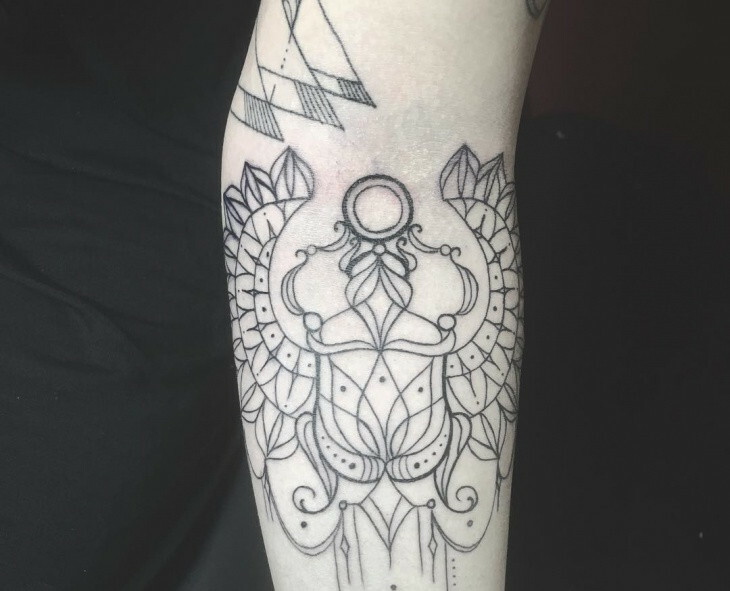 Details are very important like in the Mandala Tattoo. The symbol itself had been in the use for millenniums, but hadn’t changed much till the present day. These are eternity and creative forces at the spot.